Smile, fun and happiness of Toyota Indonesia’s big family, shown at Family Day which held at Bumi Perkemahan Cibubur, on September 27th, 2015. KOTAK Band and Agis KDI were performed and enlivened this event. In his speech, Mr. Masahiro Nonami as President Director of TMMIN expressed his gratitude for all contribution and support from employees and their families, in succeeded the project on Peak #1 and persuaded employees to continue the best effort to succeed the Peak #2. Meanwhile, Mr.Suparno Djasmin as Vice President Director of TAM, persuaded all employees to build good communication among supervisors-staffs, with co-workers, and also with families. 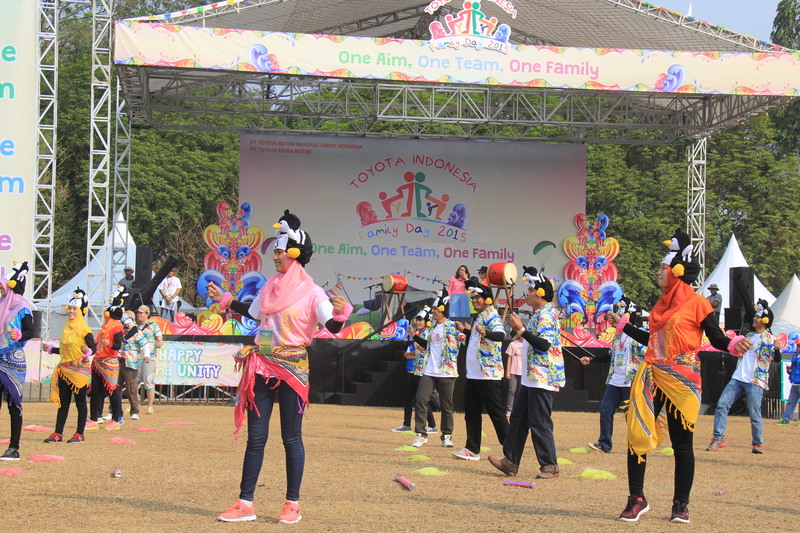 This Family Day moment has become opportunity to know each other and strengthen the spirit of ""One Aim, One Team, One Family untuk Toyota Indonesia”. May next year’s Family Day could strengthen togetherness and cheerfulness of Toyota Indonesia big family.